Yesterday a load of Google's Android apps were updated. 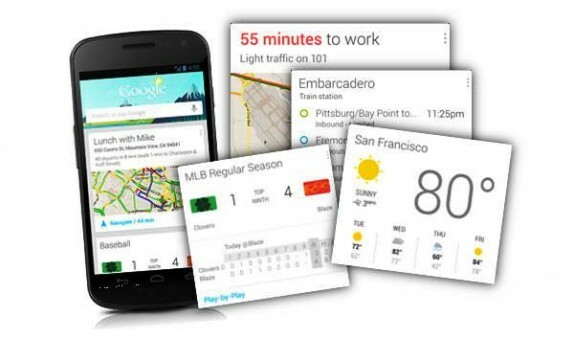 One of the most interesting updates was to Google's Search app which also impacts Google Now. Google Now can now do real time package tracking if you have a parcel carrier who support it and searching speed has been increased! Do you remember Apple's insanely cool 'Campus 2', the one shaped kinda like a spaceship. Well according to Bloomberg the project is set to cost $2 billion more than expected. The completion date has also supposedly been pushed back by a year to 2016. Steve Jobs wanted this to be the 'best office building' in the world and so a couple more billion dollars shouldn't hurt too much in the grand scheme of things! Google's BufferBox service will be coming to the San Francisco bay area very soon! Super fast online delivery will soon be here! Blackberry has pulled the plug on the Blackberry Music service after a mere year and a halfs worth of operation! Blackberry recommends Rdio as a solid replacement! Music subscription service Deezer has announced a new beta for their Android app. The enhancements include a re-vamped and modern UI, predictive search capabilities in the search box. There's now also a mini player with track controls in every part of the app. Kobo Arc owners are now seeing Jelly Bean roll out to their devices as we speak! If you haven't got the update yet then just connect yourself to a Wifi hotspot and you should be good to go. A Wifi only version of Samsung's Galaxy Camera is set to launch in the US this month and it will cost $450, which still seems a little pricey to us! Samsung has teamed up with Samsung has teamed up with Best Buy to bring its Sammy branded mini-stores to the inside of all 1400 Best Buy locations across America!